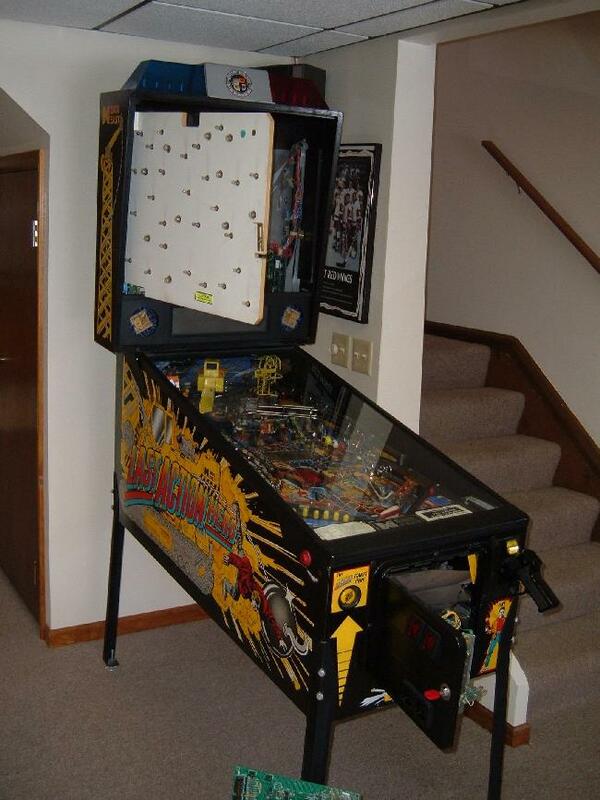 One of the visitors has a dad who ownes a 1993 Dataeast Last Action Hero (LAH) pinball. The machine hadn’t been turned on in some time, so he asked me to come over and get it running for dad. The game overall was in decent enough condition, but it had not been turned on in about 10 years. The grandkids were asking, so the game needed to be fixed. 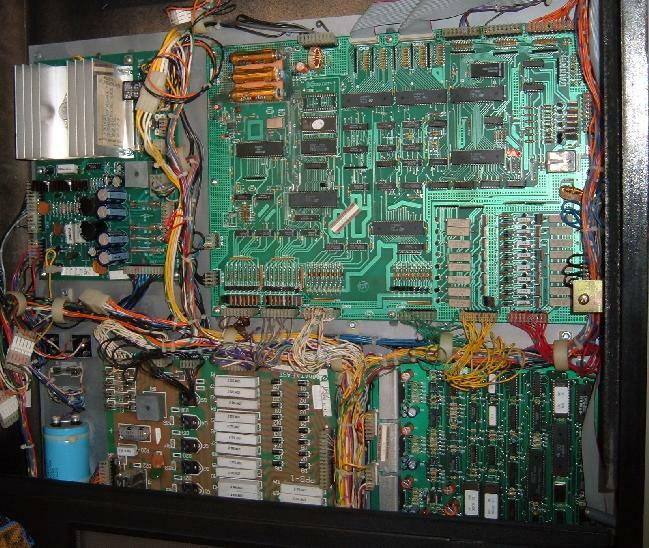 On the solidstate pinballs, the first thing I always do is remove the backglass and check out the boards. In particular I go right to the batteries, to see if they have leaked. This game had a serious case of battery leakage. 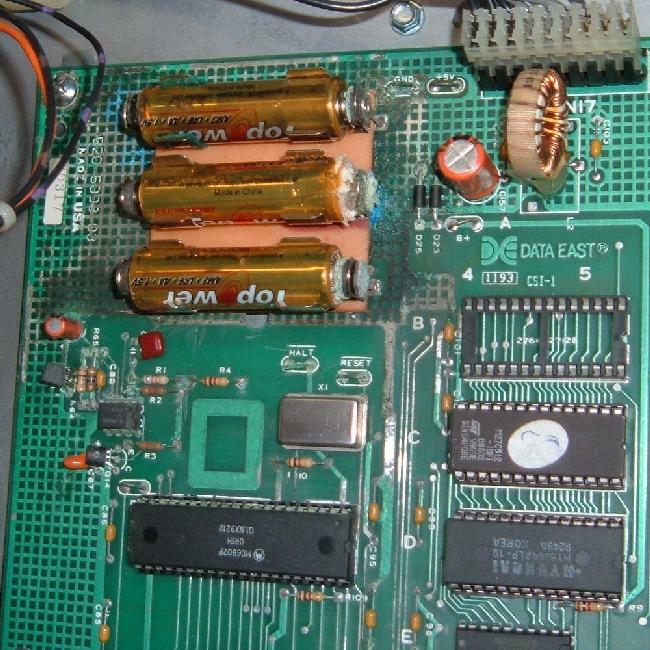 The batteries had poop’ed their caustic chemicals all over the CPU board. Powering on the game produced the +5 volt LED on the CPU board, but nothing else. 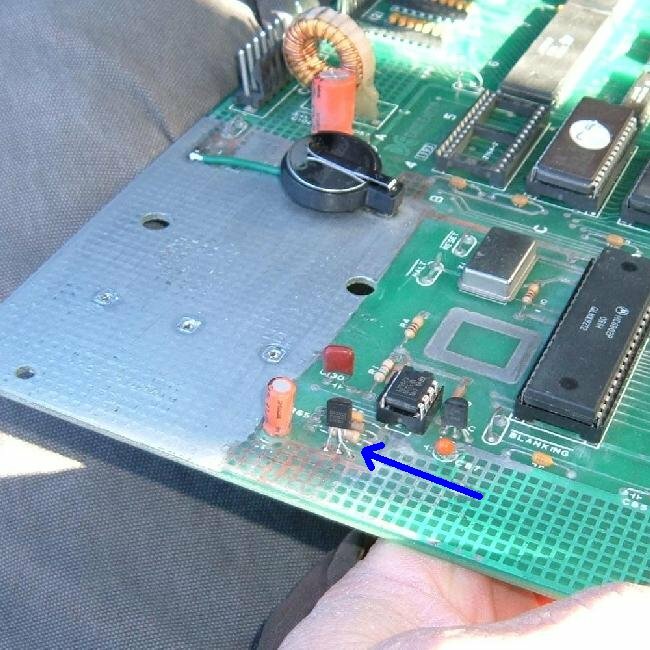 Corrosion had eaten the board components. I immediately removed the CPU board and cut off the battery pack. Many of the components below the batteries had been corroded by the battery fluids. 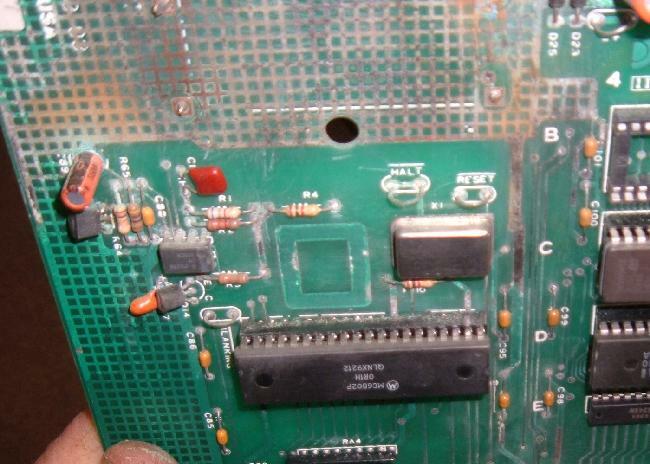 The long 40 chip shown below would need a new socket, and everything north of it in this section replaced. The best way to deal with battery corrosion is to use a bead blaster. I have one in the shop, but it’s not set up. So I go over to my friend’s house and use his. Bead blasted all the corrosion off the CPU board. The result is a nice, easy to solder area on the board. Replaced all the components and sockets. Installed a coin style battery instead of the AA battery pack. The board now worked and booted. Note one thing that had to be done a little different was to replace the stock reset chip (the three legged transistor-looking device) with a Dallas DS1811 reset chip. The original reset chip is no longer available, but the Dallas chip is. Note two legs had to be crossed to make the DS1811 work. Some other minor details had to be repaired on the game (a few switches didn’t work, minor stuff like that.) Got all that going and now Dad was happy, as his pinball machine worked.